The Indigenous Governance Programs at the University of Arizona are proudly offering nine courses on Indigenous governance this January. 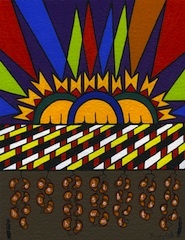 Individuals from all walks of life — including tribal government leaders, tribal employees, tribal entrepreneurs, law students, and anyone interested in knowing more about Indigenous governance — are encouraged to sign up for one or more of the courses. For more information, please visit our website (igp.arizona.edu) or contact us (igp@email.arizona.edu). This entry was posted in Author: Matthew L.M. 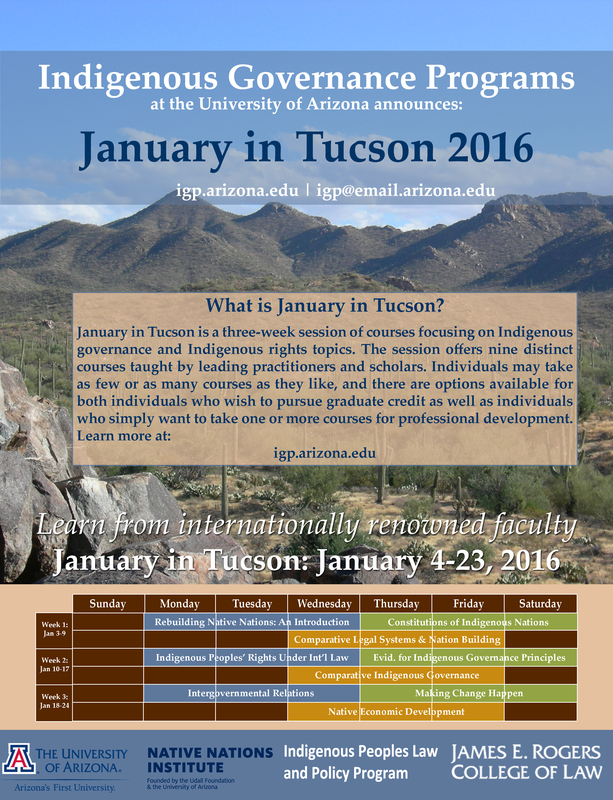 Fletcher and tagged University of Arizona Indigenous Governance Programs. Bookmark the permalink.